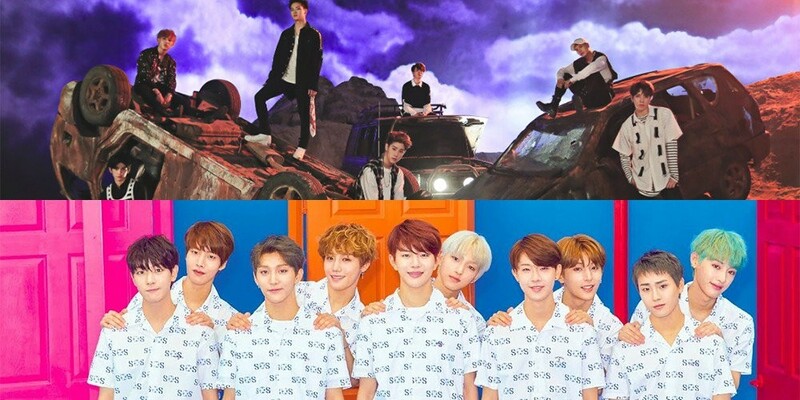 Woollim Entertainment explained that Golden Child's 'Goldenness' album design was not copied from GOT7's 'Flight Log: Turbulence'. Hello. This is Woollim Entertainment's Creative Director. I am sincerely sorry that we have caused a concern from this and did not give a quick answer. I have been working hard to create a good album that respects fans, and I am going to explain the production process to answer the fans' concerns and questions. Golden Child had a trilogy story telling project since debut. The first one is 'Geumdong High Baseball Team', the 2nd is 'Geundong High School Students' First Love', and the third one is 'Geundong High School Graduation Trip'. The theme was decided before their debut, and because of this, Golden Child had a baseball concept in the 1st mini-album, and a school concept in their 2nd mini album. To match the initial concept of graduation trip, Golden Child had their filming in Japan for their recent single album. We chose the general shape of a carrier for the album design so fans could easily think of a graduation trip. Using stickers to decorate a carrier is also common, so the stickers were added as a fun idea along with the plane ticket. As for the CD, we designed it thinking about a compass, which comes up easily when one thinks of travelling. It was something we took a while to decide, so when we saw that it was being compared to another artist's album through communities, I was also shocked at the similarities. I agree that fans can feel uncomfortable on that part, and I am also sorry that I did not react quickly and created misunderstandings between fandoms. However, it is impossible to copy an album that was released less than two years ago in the same country, and it is even more impossible to do it if that group is a popular group. Not only so, Golden Child's release is named after the fans and this is an album we spent a lot of time and effort on. We worked hard to create the best album for the artist and the fans who love the artist, so we are very disappointed and upset about this situation. Golden Child's album and their MD reflects their concept and identity. Because of this, copying another gorup's concept would be something that breaks down their identity and is something that can't be done. Lastly, I have attached various foreign design cases referred for Golden Child's single album. We will be widening our perception in the future so this does not happen again, and study more domestic and international albums. We hope that the two fandoms do not grow apart or create friction and come back through better concepts in albums. What do you think of his answer?